World Peace Communications. For more information please contact John Wilson - info@openipub.com. Please read our Terms of Service which you agree to by using this site. John Wilson and his family will sail around the world in a solar electric catamaran sailboat to raise awareness everywhere about the most pressing issue in the world today: the urgent need to shift to renewable resources. 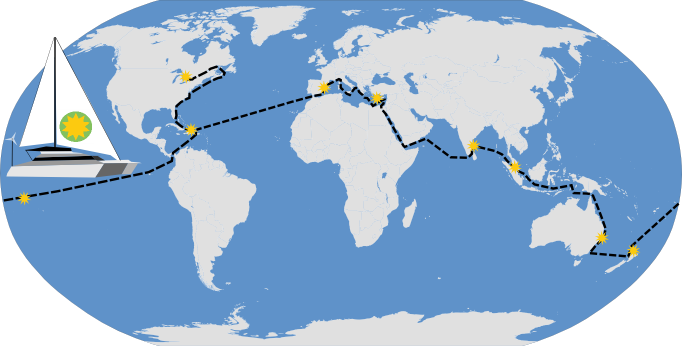 This ambitious circumnavigation is the first component of the Sun Challenge. Our challenge in moving to renewable energy resources is about finding ways to harness this free unlimited sun power.